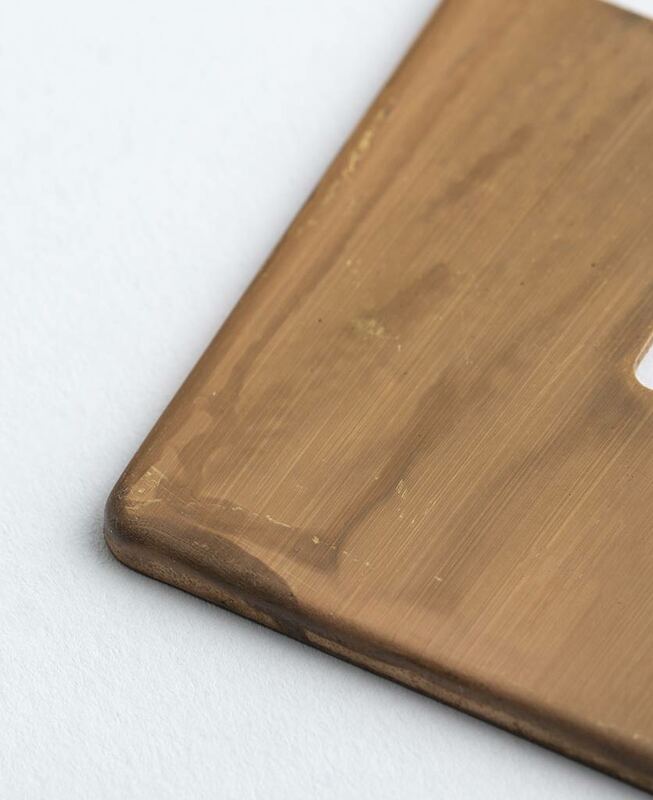 This lavish smoked gold round 3 pin socket is just beautiful. Featuring a gorgeous matt brass plate with swirling hues of charcoal, grey and coffee and a contrasting black or white insert, this dramatic switch looks amazing in an industrially styled interior. For an ultra-chic designer finish, place upon monochromatic walls, we particularly love navy, grey or white, where the distressed finish can really stand out. How lavish is this 5 amp socket? 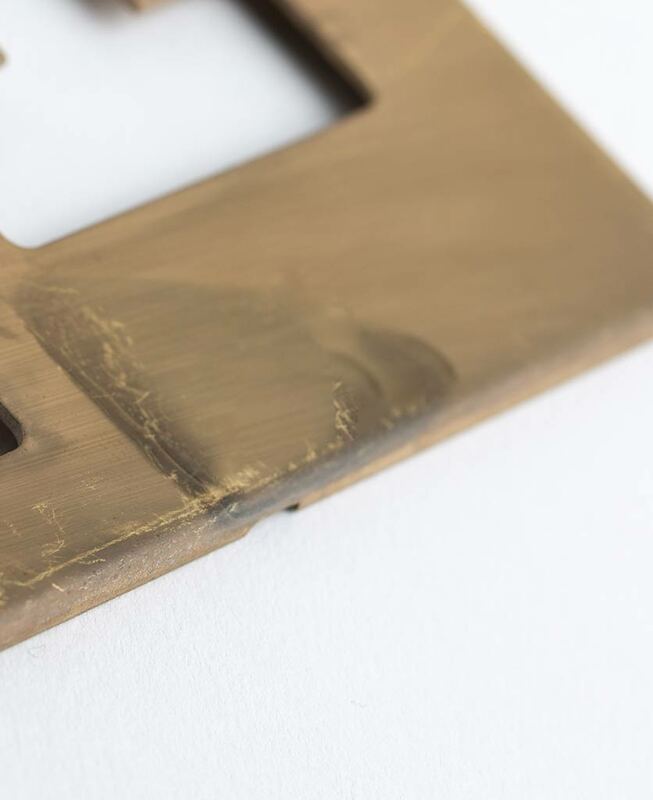 featuring a beautiful matt brass plate and choice of contrasting black or white insert, this switch is perfect for adding a decadent touch to an industrially styled space. We love this authentically distressed socket against matt white walls, where the eddying hues of grey, black and coffee can really stand out. 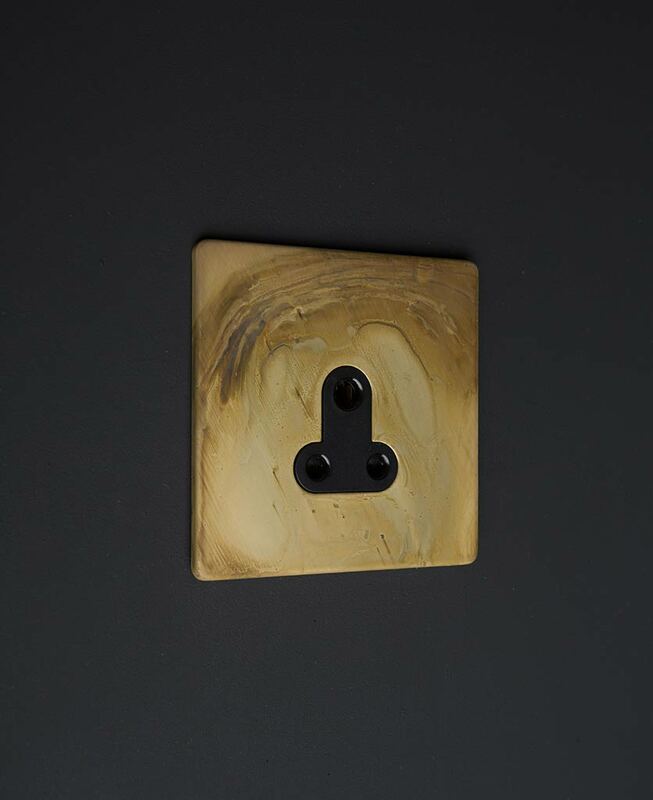 The unique finish of this socket has an almost heritage feel, reminiscent of smoke fuelled 1920’s parties filled with champagne and jazz music. What’s great about our 5 amp sockets is that they allow you to control multiple lamps from just one switch. They’re perfect for use in larger rooms, bars, restaurants and hotels, where you want to link multiple lights to one main control point. 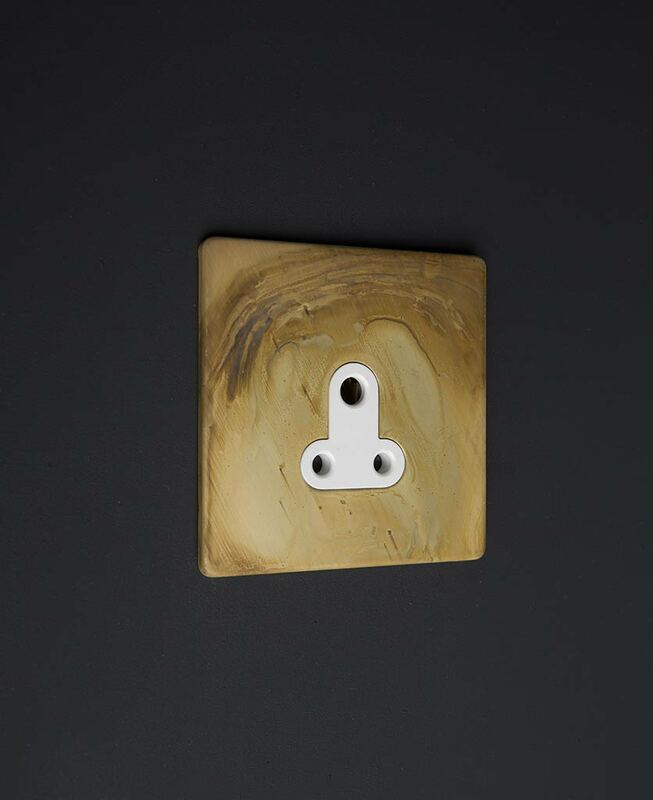 Our smoked gold 5 and black socket is part of our exclusively created smoked gold switches and sockets range. A collection of dimmer switches, toggle light switches, USB ports and appliance switches that can be coordinated to finish off your interiors to beautiful effect. These designer switches are unique to us. You won’t find them anywhere else.